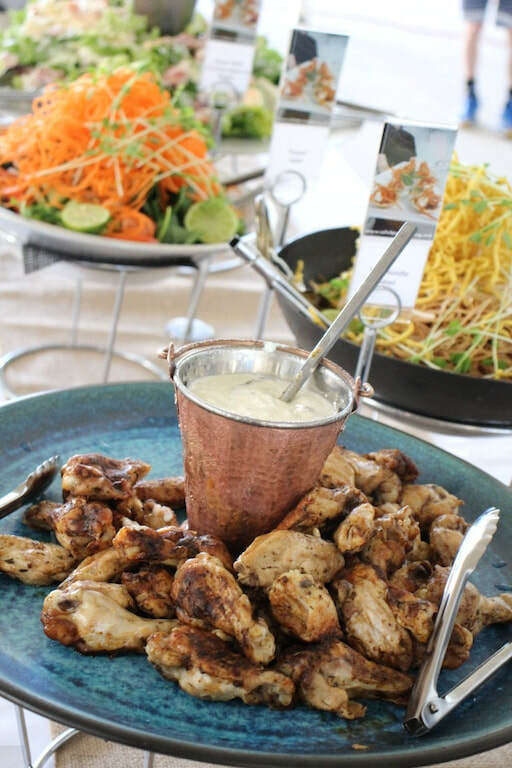 SafeHands Catering has revolutionised the buffet into a modern display for guests to enjoy. Buffets are no longer boring and unflattering; introducing a large range of edible garnishes, long buffets designed to accommodate large number of guests with a fast and efficient service - choice for you and your guests - all beautifully presented with SafeHands Catering style. Our buffets are designed to be a showpiece for your function or wedding reception, don’t hide away in the corner! Guests can flow down either side for service allowing a social atmosphere while making dinner selections. Plates & Cutlery included in prices! Our buffets are constantly evolving to ensure that Wow factor. 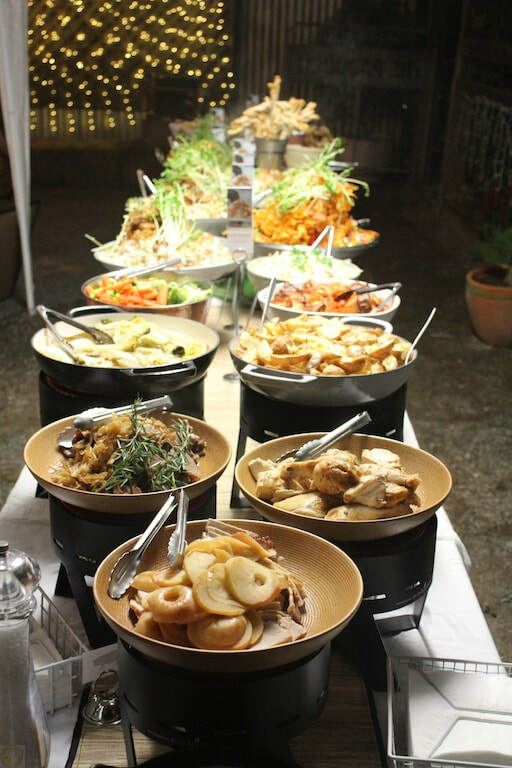 We pride ourselves in showcasing Buffets that look Amazing and offer plenty of choice and taste sensations for guests. SafeHands Catering Gourmet Buffet is our most popular and inclusive menu and extremely popular for Wedding Receptions. 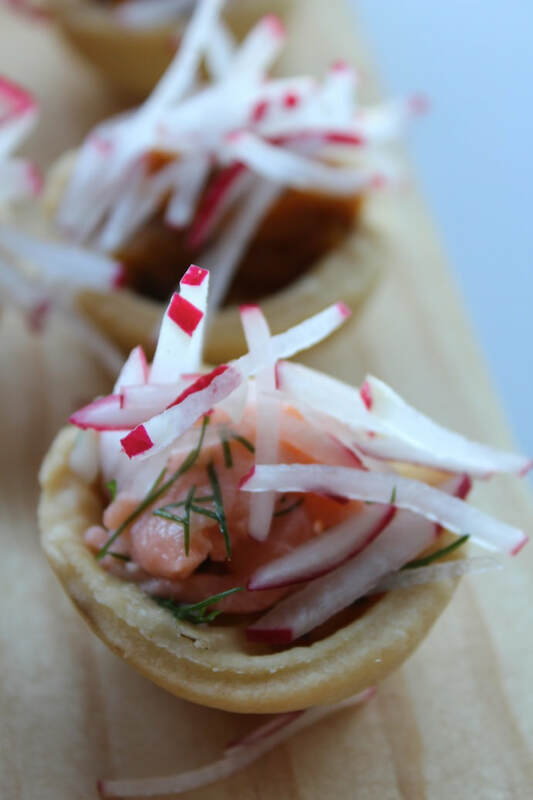 This can be combined with our Finger Food / Canapés and also Dessert Service or Wedding Cake Plating service. Finger Foods and Desserts can also be added to our selection of Buffets, we can also plate your wedding or celebration cake. "Thank you Jason and Shay for making our wedding reception an exceptional day. The food was beautifully supplied and presented. Many guests requested details of caterers which we happily supplied. Thanks again Jason and Shay, you are a treasure. Anna"